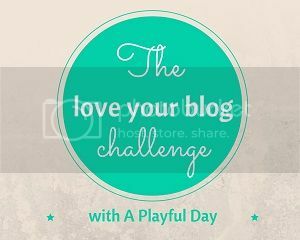 As I mentioned in my post yesterday, I have decided to take up theLove Your Blog challenge from A Playful Day, and the first theme for this week is Interaction and Community. The notion of a knitting community is something I still find intriguing, as well as somewhat counter-intuitive, despite having been a more and more active part of one for a few years now. Let me explain. I have been able to knit for as long as I can remember. My mother and paternal grandmother were both knitters; neither of them can remember actually having taught me and each assumed the other must have done so, but either way, I have been knitting since I was about five years old. The house was always filled with knitting needles, patterns, balls and cones of wool, Mum's knitting machine (or bits thereof! ), sleeves of cardigans in progress, the usual trappings of the knitter. I can remember my mother teaching my younger sister to knit. I can remember making clothes for my dolls, and then the rite of passage of being taken to the village wool shop to choose wool and pattern for the first sweater I would knit for myself, when I was 11. Despite all this constant knitting in my life, though, it was never something I thought of as a group activity, as a way of meeting people or of feeling part of something. Knitting was something you did quietly at home, much like reading or watching television (and sometimes while reading AND watching television!). And outside of my immediate family, I didn't know any other knitters. Or at least I didn't think I did, because it just wasn't something that ever came up in conversation. I doubt my school friends knew I knitted, or my fellow students once I got to university. It was never a "cool" activity anyway so it wasn't something I was going to seek out a group for. I've had plenty of hobbies; choir, Girl Guides, community youth orchestra (there's that word community, just there), aerobics classes, swimming club, choral societies, amateur dramatic societies, but the knitting just never featured in any of them. I first became aware of a "knitting community" when I was introduced to Ravelry in its early days back in 2007. Another attendee at a Bookcrossing convention was using a drop spindle, something I had never seen before, and my curiosity overcame me and I went over and asked her about it. We got chatting and she told me about Ravelry. As soon as I got home, I applied to sign up (back in the days when you had to put your name on a waiting list and wait for an invitation to join!). After a few weeks my e-mail invitation came through, and the rabbit-hole opened up and down I fell! Here was a world I had no idea existed. Other people knitted out there. Other young people like me wanted to talk about their woolly creations (despite the more common usage of the term "yarn" I will always think of it as "wool" even when it's made of cotton or acrylic or bamboo rayon or any of the other materials available to knit with, old habits die hard! ), to share ideas, and actually just chat about their day-to-day lives, their other interests. One major bonus of Ravelry for an introvert like me is the ability to participate just as much or as little as I want to. It seems to me a lot of knitters are natural introverts, and I wonder whether that might be why there aren't crowds of raucous knitters rampaging all over the place. So much easier and more comfortable for something with an introverted personality to get their knitting socialising in a virtual place where one isn't overwhelmed by physical crowds. Despite its growing popularity, knitting still has an image of being fuddy-duddy, or something for the poor, and it can be daunting for someone with a personality that dislikes attracting the attention of strangers to openly take part in an activity which has such negative connotations in the eyes of others. The final jigsaw piece fell into place in June last year when I started designing my own patterns. Message boards and chat rooms which I had had no clue even existed less than a year ago are now some of the ones I spend most time on. I recognise names of people who started out around the time I did, who are learning along with me, as well as those more experienced (some with many years of designing under their belts) who generously give the benefit of their experience and advice to those of us who are still more wet behind the ears without conditions or agenda. Pattern design wasn't something I had ever intended to do but, for something which I have fallen into completely by chance, I finally feel like I have found the place in the knitting world where I belong. Hello fellow Playful Day blogger. I think I am going to really enjoy this new challenge! It looks good, doesn't it. I'm already looking forward to next week's topic. I have been using Ravelry on and off since 2008. I haven't really got "a home" as such there, but I think it's because I'm more of a butterfly. I subscribe to lots of boards and read more than write. I'm starting to get over it too. I knit while waiting for my son at the school gates and people have started to comment now when I don't have something with me to work on! Lovely post. Thanks for sharing. I remember when I first discovered Ravelry, it really was a life changing moment. I am still amazed at all the wonderful people I have met that have been brought together through their love of 'sticks and string'! Thank you. I now enjoy a regular meet-up with a group of knitters I met on Ravelry. We live in different places so would probably never have met if it hadn't been for the internet and a shared interest. I really enjoyed this post and your designs are lovely! Looking forward to discovering new people and blogs through this challenge. I found your perspective really interesting as I am a fairly new knitter, having taught myself about 3.5 years ago, so for me Ravelry has always been there while I've been a knitter. However, I know I wouldn't have found it easy to learn about any of it without Ravelry. Thanks. I have a lot of respect for self-taught knitters. I'm self-taught with crochet and I find it takes a lot more discipline to learn new stuff than to learn one thing and then just stick with that. Great post. I think that the online (knitting) community is wonderful for introverted folk - it's not as scary at first but definitely leads to more friendships, in real life and online. Even if I've struggled a bit with the characterisations in your post, I do understand some of what you say. Knitting isn't exclusively suited to anyone personality type, I'm an extrovert, I knit in public, often with a raucous crowd of fellow knitters, although I don't recall ever having been on a rampage with them, unless the rush for the Wollmeise stand at Knit Nation in 2010 counts! I suspect it probably would count! I wish I'd known about Knit Nation, or that it could be held again. I'd love to go.